Yet another case from Chinese firm DIYPC, this time the firm shows off its DIY-Model S with dynamic RGB front lightbar. 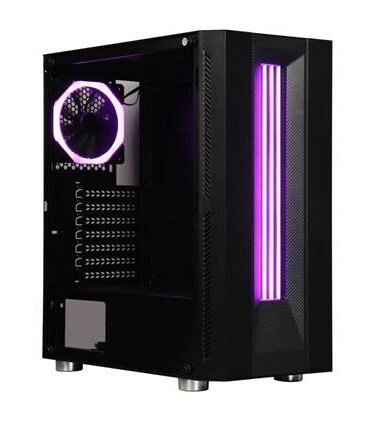 This case starts shipping on April 30th for $89.99 and temporarily features a "free" RGB LED fan. DIYPC, leading professional manufacturer of computer cases and accessories DIYPC, leading professional manufacturer of computer cases and accessories is thrilled to announce its latest chassis, the DIY-Model S. The DIYPC DIY-Model S is quite refined as an ATX chassis the receives that extra twist with its new snazzy light bar at the front which gives it that aggressive gamer look. To giveback to its fan worldwide, DIYPC will be holding a sales bundle event on Newegg where you can buy a Model S chassis that comes with a FREE RGB fan! What are you waiting for buy now to instantly save $15.00 USD!